I would like to know if anyone has any ideas on this little tiny insect. It looks almost soft-bodied like an aphid, but I suspect it's a 'baby' beetle. You can see how small it was compared to my wife's index finger. 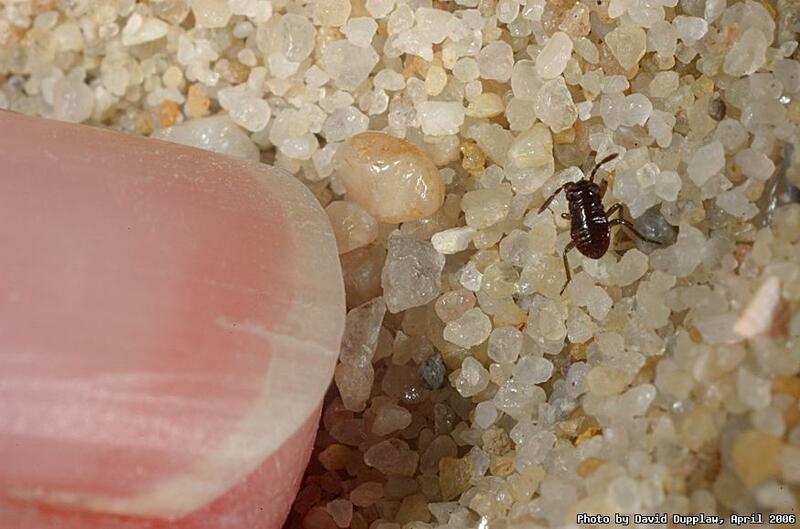 Imagine how difficult it must have been for it to crawl over those grains of sand! We're off to Wales again for a long Easter weekend, so updates will be non-existant. Hopefully we'll get to go to the Elan Valley and, if the weather's ok, get some nice photos.